Clear up valuable desk space and enhance workflow with STAND-V101. The single, fully articulating arm mount attaches to the back of your desk, freeing up space that the original stand can take up. The sleek black finish frame constructed of aluminum steel fits any traditional or modern space and strongly secures your monitor in a suspended position for better sight alignment. 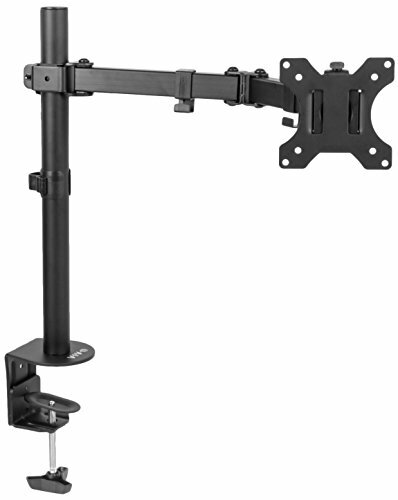 The mounting bracket uses universal VESA patterns and features a weight capacity which supports most monitors on the market. The arm features a center double joint for more flexible screen placement.